Transform the way you power lights on and off with the Aeotec ZW132 Zwave Plus Dual Nano Switch. It adds on/off ZWave control to two existing light switches, receptacles and lights while allowing you to retain manual control and without replacing the original switch. 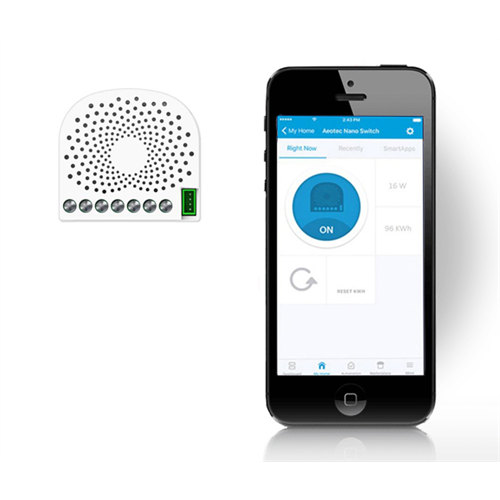 Install the Dual Nano Switch behind your existing light switches or outlet to turn them in to smart devices. No one will know it's a smart switch or outlet since you can have your favourite switch design, colour and style with the brains behind the scenes. The Dual Nano Switch has built in power metering that can be reported back to compatible smart hubs or software to keep track of energy usage or watch for lights left on when they're not needed. 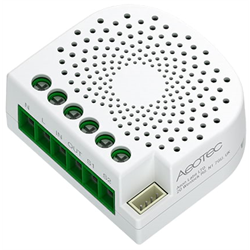 The Aeotec Nano Switch has a built-in surge protector to protect itself and attached equipment. 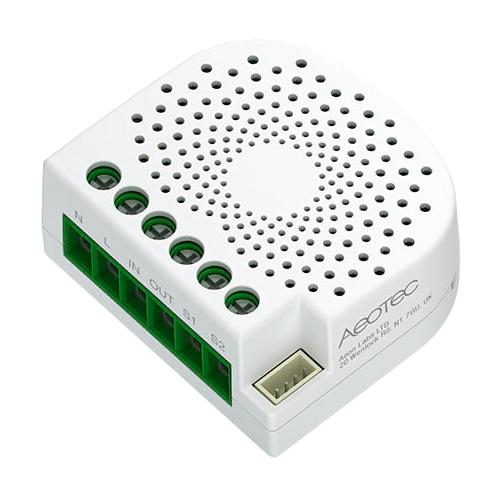 It supports AES-128 encryption to avoid spying. It is also equipped with the ability to remember and restore your settings in the event of a power outage, allowing for a quick return to routine once power is back. The dual nano switch is only 43.5 x 39 x 19.5mm so it can be hidden in a junction box behind light switches or a receptacle(s).